 Mouse anti Human CD142 antibody, clone TF9-10H10 recognizes human CD142, also known as Tissue Factor, is the membrane receptor for coagulation factors VII and VIIa and is the cell surface initiator of coagulation. It is the major molecule of this type and is criticial for controlling hemostasis, thrombosis and inflammation. Mouse anti Human CD142 antibody, clone TF9-10H10 recognizes an epitope within the extracellular domain, epitope locus I. It recognizes both the reduced and native non-reduced human and primate tissue factors. It does not inhibit coagulation or neutralize factor VII binding to CD142. Denatured Tissue factor isolated from human brain by the Factor VII affinity method (Guha et al. 1986). Spleen cells from immunized Balb/c mice were fused with cells of the P3Ag8.653.1myeloma cell line. Morrissey, J.H. et al. (1988) Monoclonal antibody analysis of purified and cell-associated tissue factor. Thromb Res. 52 (3): 247-61. Contrino, J. et al. (1994) In situ characterization of antigenic and functional tissue factor expression in human tumors utilizing monoclonal antibodies and recombinant factor VIIa as probes. Am J Pathol. 145 (6): 1315-22. Drake, T.A. et al. (1989) Selective cellular expression of tissue factor in human tissues. Implications for disorders of hemostasis and thrombosis. Am J Pathol. 134 (5): 1087-97. Stearns-Kurosawa, D.J. et al. (2006) Sepsis and pathophysiology of anthrax in a nonhuman primate model. Am J Pathol. 169 (2): 433-44. Mueller, B.M. et al. (1992) Expression of tissue factor by melanoma cells promotes efficient hematogenous metastasis. Proc Natl Acad Sci U S A. 89 (24): 11832-6. Agmon-Levin, N. et al. (2011) Vitamin D: an instrumental factor in the anti-phospholipid syndrome by inhibition of tissue factor expression. Ann Rheum Dis. 70: 145-50. Ruf, W. et al. 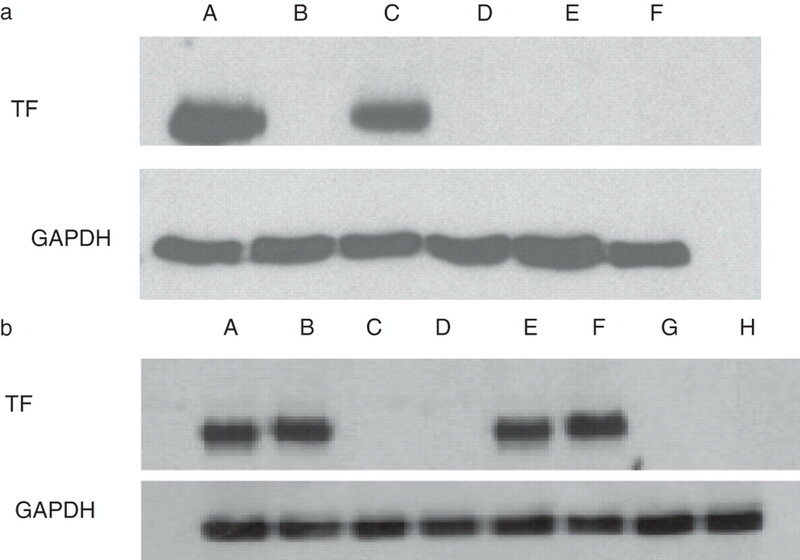 (1991) Antibody mapping of tissue factor implicates two different exon-encoded regions in function. Biochem J. 278 ( Pt 3): 729-33.